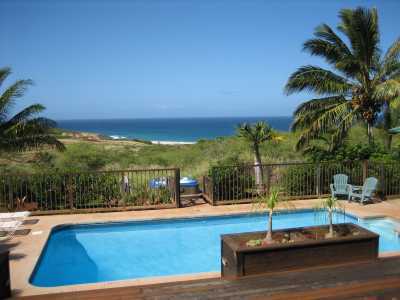 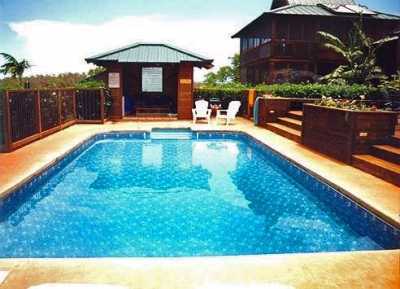 Search Maunaloa vacation rental condos, homes and cabins. 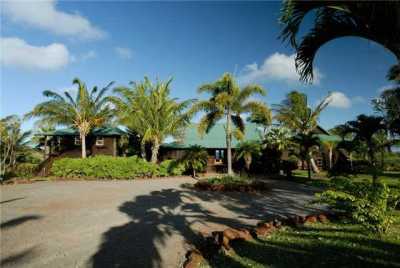 Papapa Plantation is situated above the south end of Papohaku Beach, on the West end of Molokai. 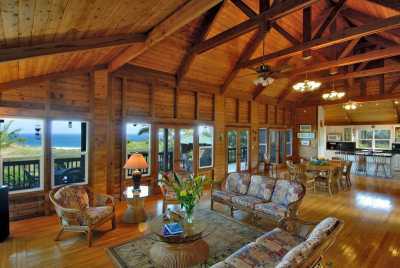 The house is situated on six private acres landscaped in the beautiful Hawaiian garden style and is adjacent to a bird refuge. 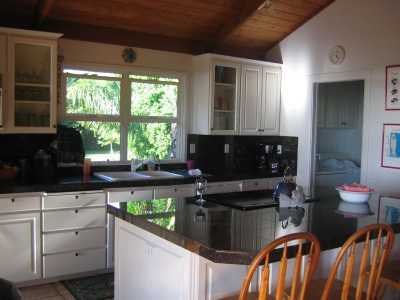 The house is approximately 5000 Square feet consisting of four private suites. 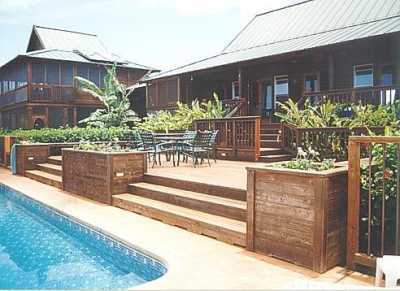 The suites are in two separate 2-story villas (one up and one down). 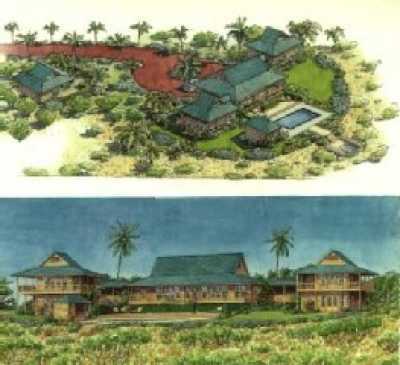 The villas are located off the northwest and southeast corners of the ohana (family) house. 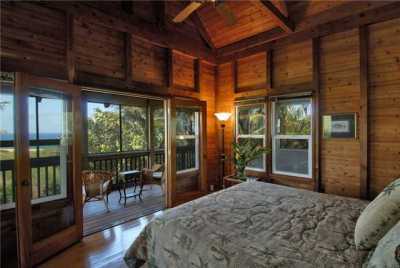 They are connected to the ohana house via screened-in covered walkways. 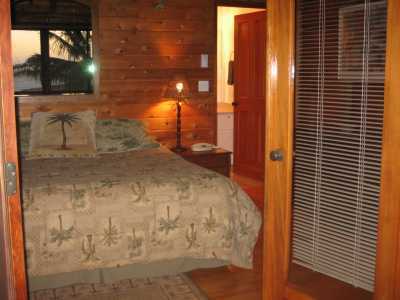 Each suite contains a king size bed, phone, and private bathroom.